ONI Bureau: The India Meteorological Department has issued thunderstorm, lightning and heavy rainfall warning for seven districts of Odisha for today. 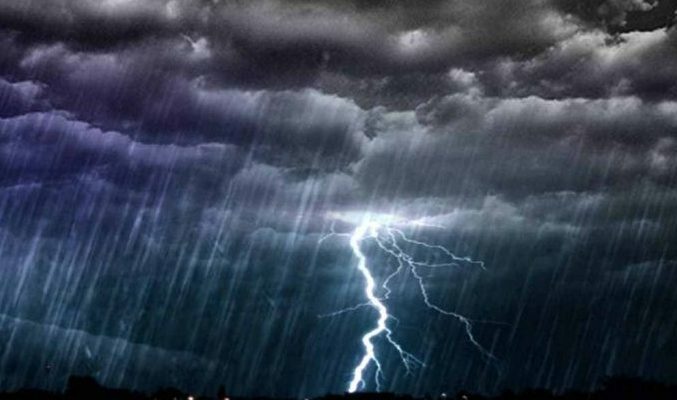 Bhubaneswar MeT said in a release that moderate thunderstorm accompanied with lightning and an intense spell of rainfall likely to occur at one or two places over the districts of Sundergarh, Deogarh, Mayurbhanj, Keonjhar, Angul, Cuttack and Dhenkanal between 12.30 PM and 4.30 PM. People in these districts have been advised to take shelter in safe places and avoid venturing out till 4.30 pm.